Upon completion of his specialist program, Dr Wee was offered many academic and clinical work opportunities in the USA, but chose to return to Singapore instead. Practicing endodontics exclusively ever since, Dr Wee continued to mentor and guide young dental surgeons in the fine art of endodontics through his role as Head Dental Services in the SAF where he managed the entire dental support system. Being a former Assistant Professor in LLU, Dr Wee continued his passion for teaching even now as an adjunct lecturer in NUS for both the post-doctoral and also the pre-doctoral dental programs. Dr Wee now divides his time between his clinical practice, academia, lecturing and attending endodontic conferences around the world in his continual journey to be a better endodontist for his patients. 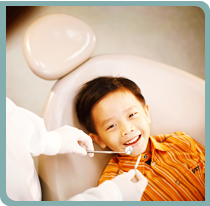 Dr Johnathan Wee is registered as a dental specialist in endodontics with the Singapore Dental Council(SDC). He a specialist member of the American Association of Endodontist(AAE) , the Society of Endodontists Singapore (SES), and also the International Association of Dental Traumatology(IADT). Dr Wee is an active Fellow, Academy of Medicine, College of Dental Surgeons, Singapore (CDSS).Currently, he is the immediate past Chairman of the Chapter of Endodontics(CDSS) and has been reappointed as an examiner for the Dental Specialist Accreditation Committee (DSAC) in Endodontics. His other professional memberships include The Singapore Dental Association(SDA), the American Dental Association(ADA) and the California Dental Association(CDA). Dr Wee is also formally trained in the use of the surgical operating microscope(SOM) since 1998 as an enabler in his clinical delivery of high quality treatment. His key interest areas in endodontics include management of dental trauma, evolving techniques in endodontic retreatment and post endodontic restorative outcomes. Advent Endodontics Inc is a modern dental practice equipped not only with high tech, cutting edge dental and endodontic equipment, but also enjoys the trappings of a cosy and comfortable lounge-like ambience. The décor, furniture and lighting in the practice are designed to help our patients relax and feel at ease. Situated in Paragon Medical Suites, right in the heart of Orchard Road, we serve a wide pool of patients referred from dental practices around the country. Our practice also sees and manages a sizeable number of expatriates, foreigners and tourists. Most of our staff is bilingual, and conversant in English and Mandarin. Do not be too concerned if you speak another language as the expressions of dental pain is often not too dissimilar around the world. Although we keep our operating hours family-friendly for our staff, we do attend to endodontic emergencies after office hours. This usually involves a phone conversation to establish the extent and severity of the problem, and if necessary an expedited clinical appointment. Due to the nature of such cases, a surcharge is usually added to the usual fee structure for such after office hour visits.